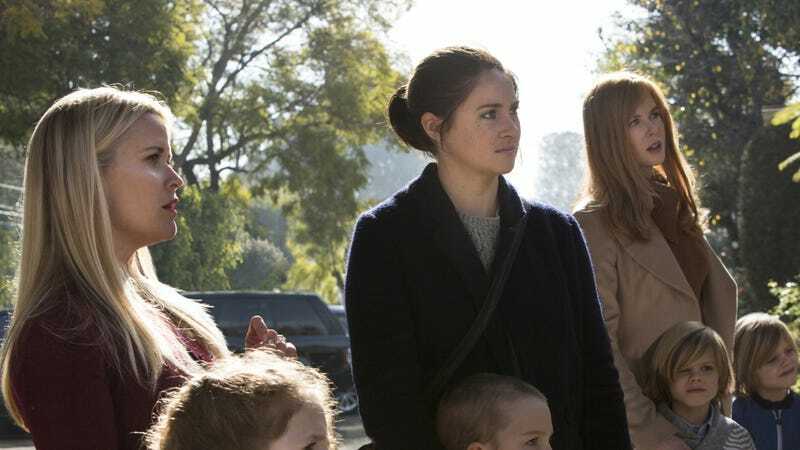 HBO’s adaptation of Liane Moriarty’s Big Little Lies was a hit and scored a bunch of Emmy awards, so even though the miniseries already covered Moriarty’s original book, the premium cable network quickly began testing the waters for a potential second season. At the time, Moriarty said she had some ideas—specifically an expanded look at the backstory of Zoé Kravitz’s character—but nothing was actually in the works. Now, possibly thanks to all of those aforementioned Emmy wins, the second season of Big Little Lies seems to be moving forward for real. According to TVLine’s sources, HBO is already planning to begin production on the second season in spring of 2018, meaning the show will have gone from being a standalone miniseries to being a two-season TV show in a year. This is all unconfirmed, and HBO wouldn’t comment on any of this to TVLine, so that means we don’t really know anything about this season beyond what Moriarty teased last April. That being said, original stars Nicole Kidman and Reese Witherspoon have both indicated in the past that they’re excited to keep the show around, and they’ll almost certainly have big roles in whatever happens.